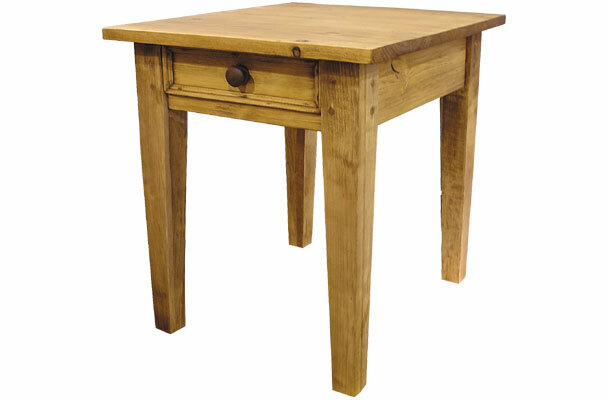 The Square Leg End Table has square and tapered legs and one drawer with a wood knob. The drawer face has a mitered flat panel design. The legs are joined to the skirt with mortise and tenon joints. This accent table has enough depth for a lamp and other accessories and offers a more modern look for use as an end table or nightstand. 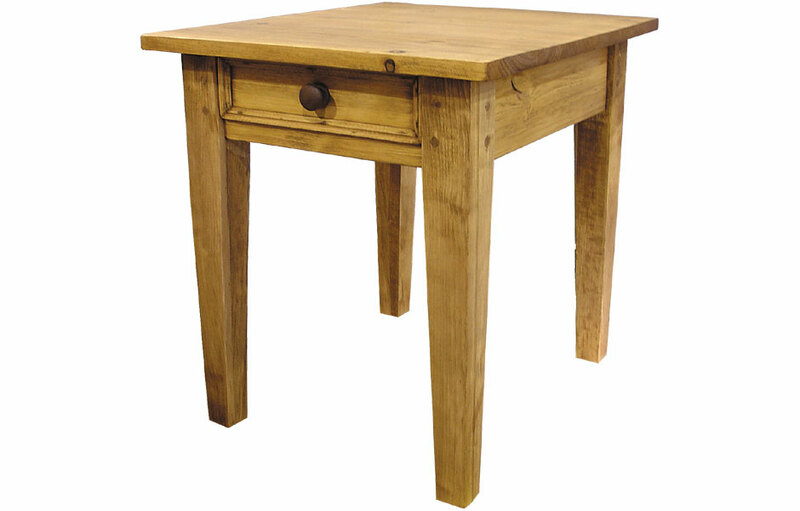 The Alsace Square Leg End Table has clean and modern French-style, with classic tapered legs and one functional drawer. The console table's legs are an elegant 3" wide, and taper from the top to bottom. Perfect height for a nightstand or end table next to a sofa, the piece has a drawer providing extra storage space for books, remotes, and important items. 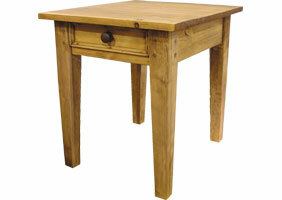 The occasional table has a generous 26" depth, making it a useful depth to put a lamp on top next to a sofa or chair. The top is made of solid wood, and water-sealed to prevent water rings. The tapered leg console table is intended for daily use. The solid wood and sturdy mortise and tenon construction will stand-up to the rigors of everyday life. Each Alsace Square Leg End Table is hand finished in any of our milk paint colors or stains for a classic country French effect. All of our finishes are hand applied giving each table a handcrafted quality. Our finishers then lightly rub the paint, if desired, for a slightly worn appearance. 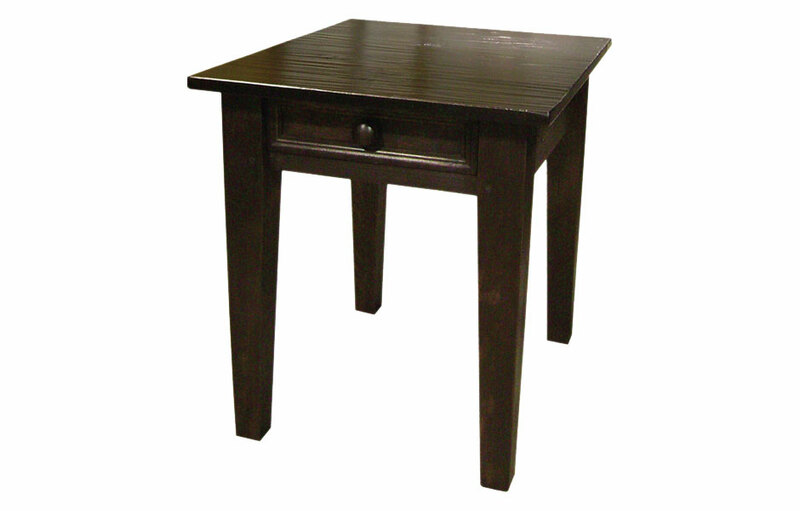 The tapered leg end table has simple embellishments making it a versatile occasional table to add to a variety of room styles including French country, farmhouse, English cottage, rustic, traditional, or transitional. Square Leg End Table stained.